Here, We will discuss about basic Print Functionality. # Where is Print in DraftSight? You can run Print Command in followings ways. 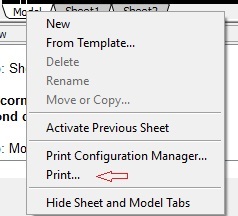 Remember Print in Model and Print in Sheet are slightly different. 1. Print Command: Type PRINT in Command Line. # How to Use Print in DraftSight? This print db contains lots of Settings and Options we will see all Settings and Options one by one. You see information about Printer/ Plotter Name, Printer details , Location and Notes if any. When you open Name drop down list then, You will see all all Installed and Built In Printers List. If you have installed any printer and set it to default printer then it will show in Name field default printer. 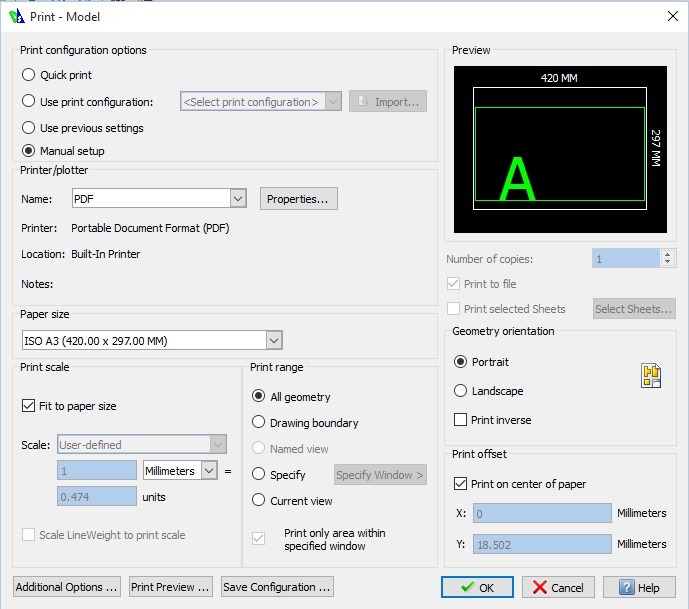 Let’s say we select PDF now we can Change PDF printer Properties from ‘Properties…’ button. Click on it. PDF have Standard Sizes and Custom Sizes. You can choose any Size , Add or Remove any Sizes from Here. Also you have option to set Margins . Whatever Size you select from above that size will be set in Paper Size field as Below. You can also Change Paper size from below drop down list . 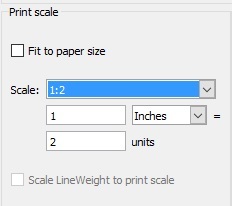 We can Scale Paper Size from Print Scale section on Print db as below. 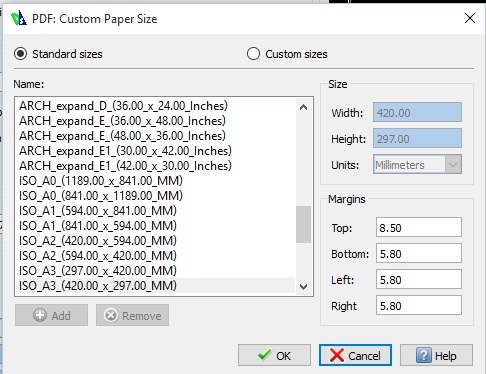 If you want to set Fit to paper size then click on Check box for ‘Fit to paper size’ in Print Scale section. 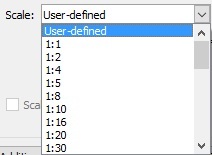 Alternatively you can change scale from Scale Drop down list or change scale units to user defined scale. With Print Range you can set printing area for your Print. If you want to Print All Geometry then select radio button for All gometry. Select Print only within specified window if you want to cut entities at the boundaries of the specified print range on the printout regardless of whether there is remaining space on the output sheet. In Sheet Instead of Drawing boundary you have Sheet radio button to select sheet area as print range. If you have created any Named Views from command: VIEWS then this radio button for ‘Named view’ will be active and you can select that named view for Print Range. 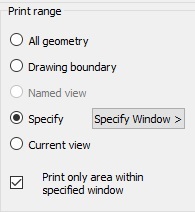 If you want to print on Center of paper then choose this checkbox in Print offset section or you can offset print in X and Y direction. In this section number of copies field is grayed out for model area and is only active in Sheet area. You can select check box for ‘Print to file’ for one print for multiple prints select number of copies. When you click on check box ‘Print selected Sheets’ then a ‘Select Sheet’ db pop up alternatively you can select ‘Select Sheets…’ button also. 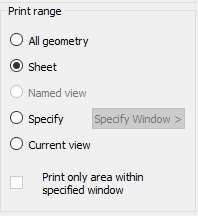 On ‘Select Sheets’ db if your drawing have any print configuration then you can select from here. 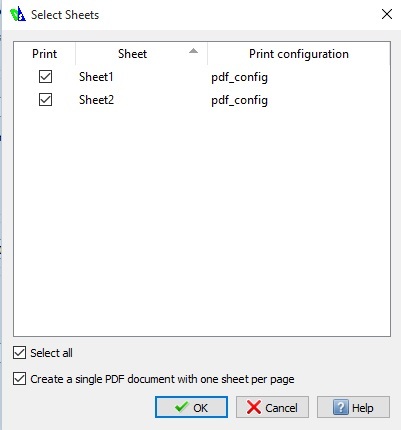 If you have selected printer as PDF in Print Configuration & assigned it to multiple sheets then when you click on multiple sheets or click on check box ‘Select all’ and then Checkbox for ‘Create a single PDF document with one sheet per page’ will be active. You can select this check box if you want to have single PDF document with one sheet per page else it will create multiple pdf documents depending upon number of Sheers in your drawing. Till now we have seen basic print dialog box settings and options. Each time when you change any setting or option then Preview field on Print db changes in real time. 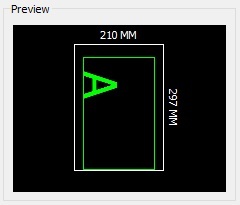 if your printing output is withing paper size then a Geen rectangle will be seen in Print preview. 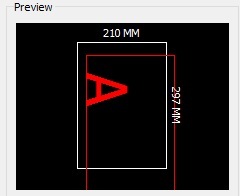 Letter ‘A’ denotes printing geometry orientation. Lets move further now and we will see 3 buttons at bottom side of Print db. As name suggest this button opens a db for Additional Print options . 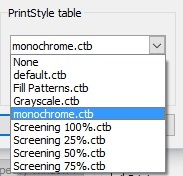 You can change Print Style for print from here. 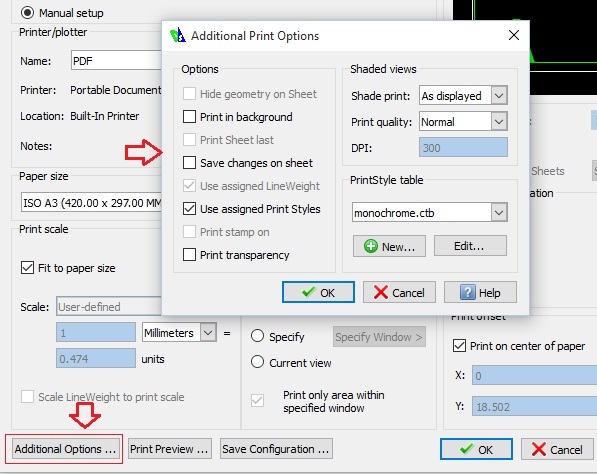 Now if you have set all print configuration settings you can save these settings as Print Configuration to use it next time. Simply click on ‘Save configuration… ‘ button. This will save current settings on print db as .cfg file . If you have multiple drawings to print then instead of opening each Drawing and printing each sheet you can use Batch Print in DraftSight. The only this you need to do is to create Print configuration in each Drawing. The “Print Configuration Manager” in Draftsight 18 does not maintain the “Paper Size” selection (8.5 x 11 Landscape) if I close and reopen at a later date. Everything else stays the same, what happens is the paper size reverts to “Custom” and the drawing, whether in model or sheet, is offset a little bit in the y-axis. When I go back and select 8.5 x 11 then in the preview pane it centers back up. I’m using Windows 10 64 with a Cannon MG5500 series printer. I created the original as a drawing in model space, copied and pasted with 0,0 coordinates in paper space and saved as a template and set the Default file types-Open documents of type: Drawing (*.dwg) so it opens as a .dwg file. Is this a DS problem or am I missing something in the config db options? Hello Using draftsight and Printer not found Error and Print Spooler not found. Never had a problem in 2 years until this last update. Please help! The dashed lines in my drawings (Draftsight 2015) won’t print. Continuous and centerlines print. 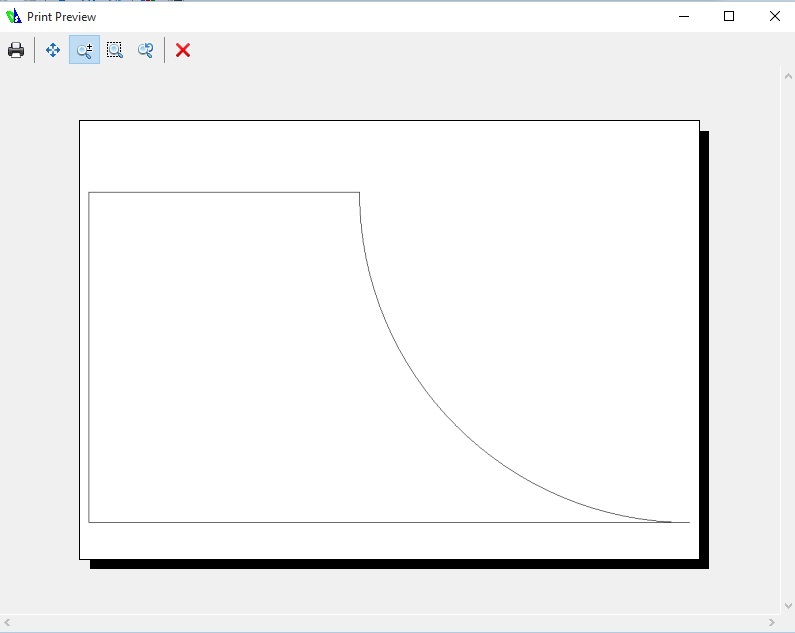 Dashed lines do not appear in the print previews. I have printed to “pdf”, “Cute PDF Writer”, and “Uniform Document Converter”, then opened the files with Adobe Acrobat Reader. The dashed lines do no appear on the screen of AAR, and do not print. I selected a local printer output but the dashed lines did not print nor where they visible in preview. I have sent drawings to two professional shops and the dashed lines did not print. In each instance I checked to make sure that the layers with dashed lines were NOT “hidden”, “frozen” or “locked”. A solution to this problem would be greatly appreciated. Please Run command LAYER which opens Layers Manager dialog box then for Layers with Dashed lines Check ‘Print’ column -> Is it active or not? We will investigate and let you know the reason.